Tammuz is the first month of the summer and one of three months in which a person should act with extreme care according to Kabbalah. The Zohar is learning this from the verse “…she hid him for three months” (Exodus 2:2), which encodes the fact that during the three months of Tammuz (Cancer), Av (Leo) and Tevet (Capricorn), there is judgment in the world. That means that there are forces in the Universe that are causing stress and expose us to dangers and to malfunction. This is why we have to exercise extreme caution during these months. We need to understand why the month of Tammuz is designed to catastrophe, and how to defend ourselves. 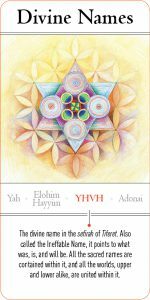 According to the teachings of Kabbalah, the Zodiac is divided into four seasons corresponding to the Tetragrammaton, four-letter Name of God – YHVH. The first letter – Yod, represents the spring (Nisan (Aries), Iyar (Taurus), Sivan (Gemini)) and the element of fire. 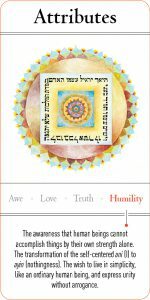 The second letter – Hei, represents the summer (Tammuz (Cancer), Av (Leo), Elul (Virgo)) and the element of water, i.e., energy of giving and sharing. This is why people of the signs Cancer, Leo and Virgo have tremendous urge to share that needs to be expressed, yet, it has to be with balance. It is known that people of the sign of Cancer have the tendency to go off balance in any field (warmth, love, relationships, money, etc. ), which usually drains them of energy. Cancer is the first sign of the summer months (ruled by water), has a huge dominance of the element of water, and it is the only sign of the zodiac that has any element that repeats itself three times. First, it belongs to a group of signs that represents the element of water (summer). Second, each of the three months of every season represents one of the three columns, i.e., spiritual powers – the right (the positive element of water), left (the negative element, represented by fire), center (balance, the element of Air). Cancer is the first sign of summer; therefore, it has the energy of the water element. Finally, the Zodiac sign of Cancer is a water sign by western astrology. All of these give a picture of excessive dominance of the element of water, symbolizing emotions and sensitivity. In the month of Tammuz we all come under the influence of the sign of Cancer and we have a tendency to become over-emotional and over reactive. Another sign of imbalance that exists in people of the sign of Cancer can be found in the crab that is the symbol of the sign. The crab never walks straight, but to the sides – left or right. This is why Cancerians have an inclination for a polarized outlook at the world around them; looking for the absolute truth and justice, seeing things as black or white. Like the crab, people of the sign of Cancer are hard on the outside but very soft and sensitive in the inside. Because of their great sensitivity, the Cancerians will invest a lot of energy in building a shell, a shield, and armor against the unstable world outside. This armor will take a mental and a physical shape like having an apprehensive nature and focusing one’s life in acquiring worldly security and stability. Because of their inclination toward justice, the Cancerians will be extremely honest, decent and responsible. In order to achieve materialistic security they invest effort and time in hard work and loyalty to family values. They are known as being very much aware of their physical appearance. The most sensitive organ in their body is their stomach and this dictates the decision-making process to become very emotional and not rational. This can become of a great advantage since this kind of sensitivity is rare. It is the ability to take any thought or feeling and turning it to be for others. Because intuition is essential to business and success, many of them succeed in business and in management. The source of their success comes mostly from their giving and sharing nature and the emotional warmth that radiates from them. This sensitivity, which is almost mystical, gives people of the sign of Cancer an advantage in predicting problems even before they start. As stated in previous articles, Sefer Yetsira (The Book of Formation) is teaching us that the 22 letters of the Hebrew alphabet are the building blocks of the universe. They represent spiritual frequencies which created our universe. The sign of Cancer is dominated by the letter Heit, which according to the Book of Formation is not a particularly a positive sign. The letter Heit, pronunciation is like the word Het – “sin”. The sin of the golden calf was on the 17th of Tammuz and the destruction of Jerusalem began on that date a thousand years later. It is interesting that the moon, which is the ruling planet of Cancer, has two visible colors – black and white, with a clear border between the two areas, exactly as the Cancerians to perception of reality. Since life usually takes place in the gray areas of relative truths, compromises and compositions; whoever is looking for the absolute truth and justice is destined to be disappointed. Just as the lunar cycle represents extreme emotional changes of ups and downs, low and tide, so the Cancerians, along with intensified emotional tendency they have from the element of water, they tend to experience emotional tides constantly; joy and enthusiasm will be followed by depression and bitterness. This state of emotional instability can lead to a By Polar personality. It turns out that within the “problem” of Cancer lies also the “solution”. That is, we should not ignore the great qualities of sharing and sensitivity; we should use those great qualities in order to transform judgment into mercy. People of the sign of Cancer, and all of us during this month, should use this sensitivity in order to feel the other person and share with them warmth. This is the way to escape our inner sensitivity and pain. When we transform our selfishness that is when we connect to life and Light. So, like in any intellectual challenge, Cancerians need to do what is difficult that is to focus on what other people feel and how to be of service instead of focusing on what they feel. When people share in a spiritual way it is not draining or exhausting. On the contrary, unconditional love and sharing is spiritually rewarding since the challenge becomes is a goal in itself. The Light of the Creator gives and shares unconditionally, and when we share and love like Him we get closer to Him and this is how we get a connection to the source of life. This is the most essential condition in order to connect to true fulfillment, happiness and real protection.